Italy’s LGBT+ association Gay Center was targeted by burglars who stole donations and goods from its Rome-based headquarters. The association, which provides services to LGBT+ people such as a hotline to report homophobic attacks, said their offices were broken into in the night between Thursday (January 24) and Friday (January 25). The Gay Center denounced the burglary in a post to its Facebook page, sharing pictures of the state of the headquarters and explaining that the thieves caused around €10,000 (£8,600; $11,400) in damages. “The damage is first and foremost to the daily work of the volunteers. Stealing donations and charitable funds is an act of cowardice,” the association wrote in the statement, explaining that the funds are used for several activities such as supporting the temporary shelter Refuge LGBT and the service of HIV and STI testing. 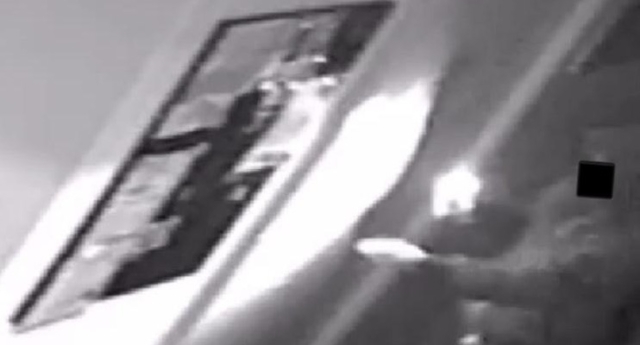 Gay Center spokesperson Fabrizio Marrazzo said he reported the burglary to the police and shared on social media a screenshot from the security camera footage, showing a hooded person entering the offices. Marrazzo told PinkNews that the burglars damaged doors and furniture, stealing several laptops and mobile phones. It is not yet clear who is behind the burglary, although Marrazzo believes that those responsible must have long been planning the burglary. “[They] knew how to move around the space and from where to enter,” he told PinkNews. Marrazzo launched a crowdfunder on Saturday (January 26) to help recover some of the funds—within a few hours it already received donations worth €600. Fellow LGBT+ advocates are among those who contributed. Francesco Angeli, the president of the Rome branch of the ArciGay LGBT+ group, who works together with the Gay Center on several projects, wrote in a statement on Facebook that the burglary won’t stop the activists from doing their job. The Gay Center headquarters has previously been targeted by a group of far-right militants who belonged to the neo-fascist party “Forza Nuova,” and stormed the offices in the evening of May 13, 2016, a few days after the civil union bill was approved by Italian lawmakers. The group filmed its leader entering the premises and attaching on its door a flyer reading “Civil unions: Perversion will never be law” and later uploaded the footage on social media.